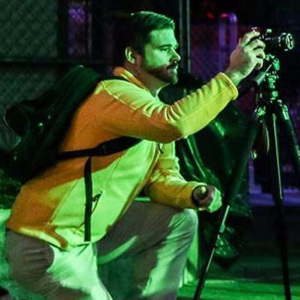 The absolute best place to get a bite to eat during Halloween Haunt is at Fright Feast. On every Friday and Saturday night from 5:00 to 8:00 p.m. in the Grand Pavilion, guest can enjoy an all-you-can-eat buffet stocked with pulled pork, chicken fingers, fries, mac & cheese, cookies and other specialties for just $14.99 (plus tax). You will also be joined by some of Halloween Haunt’s most iconic characters – perfect for photo ops. 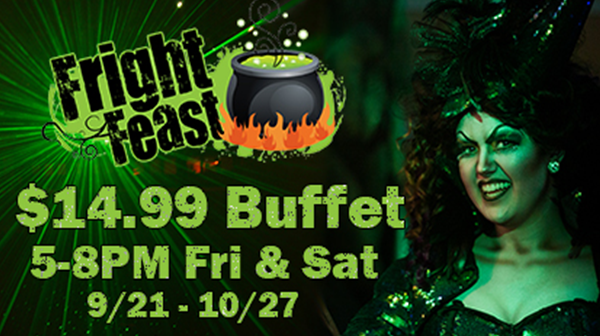 Best of all, Fright Feast is an eligible location for 2018 All-Season Dining Plans and Gold Season Passholders save an additional 10%. For those of age and looking to partake in an alcoholic beverage, be sure to check out The Oasis and their selection craft beers from Kansas City’s own Boulevard Brewing. 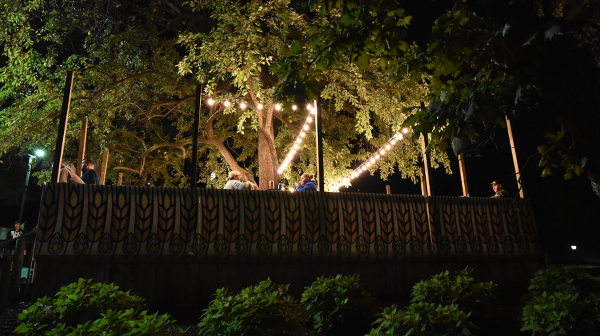 The patio and festoon lighting provide a perfect atmosphere to sit back and hang out with friends. Of course, you must be 21 years or older. The Oasis was added this summer with our new partnership with Boulevard Brewing. This location is also open during the day on Saturdays and Sundays. Premium cocktails are $8 (Margarita, Bloody Mary, Cosmo and Screwdriver), Boulevard cans are $6 and 24oz Bud Lights are $10. The patio at Battle Creek BBQ also provides a great place for adults to wet their whistle. With a similar selection to The Oasis, it is a prime location to watch the sliders of Outlaws Revenge scare unsuspecting guests. 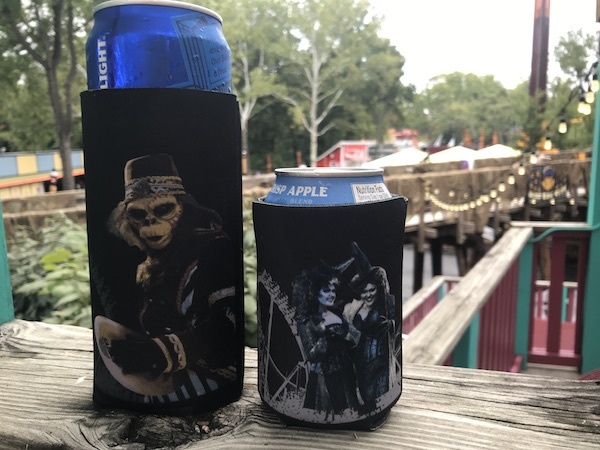 You can also score limited edition Halloween Haunt beer koozies when you order at Battle Creek or The Oasis. Sport the Evil Witches of the East and West with a 12oz order or our infamous Cymbal Monkey with a 24oz order. These are only available while supplies last, and they are going fast. Speaking of cool souvenirs, check out our glow-in-the-dark souvenir Overlord cocktail at the Battle Creek patio or at the bar in Chickie and Pete’s. 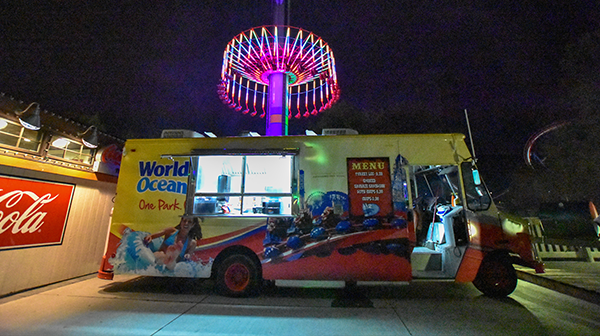 If you’re looking for a late-night snack or a full meal, stop by the Worlds of Fun food truck parked in Front Street for a succulent selection from our smoker. Options include turkey legs, smoked sausage sandwiches, jumbo hotdogs and chips. 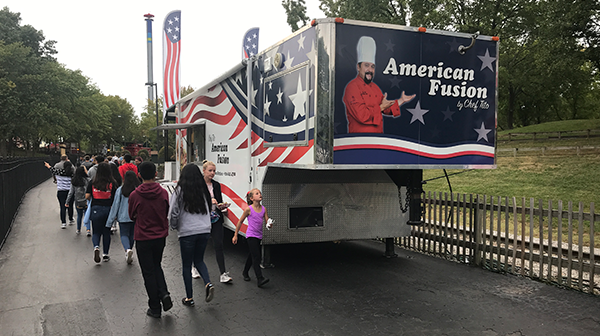 We’re also bringing a few local favorites with a selection of rotating food trucks on Heart of America Boulevard near Mamba. Selections may vary by weekend, so be sure to stop by and see what’s cooking. 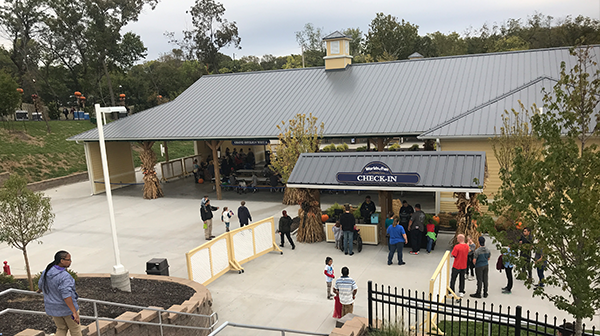 What’s a visit to Worlds of Fun in the fall without kettle corn? Before you head out, don’t forget to stock up at the Coca Cola Freestyle located across from RipCord. You can also grab some fresh spun cotton candy. When your stomach starts to growl like the beasts of Bone Yard, we hope this helps you find the best places to eat and drink at Worlds of Fun during Halloween Haunt. New 2018 Worlds of Fun Mobile App Features! 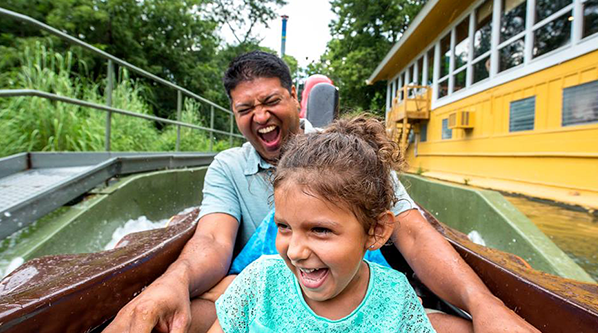 Dollar Days, Oceans of Fun's season finale, Passholder Bring-A-Friend Discounts, Military Day, and more - Worlds of Fun's lineup of Labor Day Weekend Events has everything you need to say goodbye to summer. 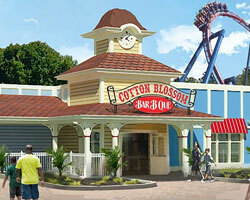 Worlds of Fun is excited to announce the addition of Cotton Blossom BBQ, a brand-new dining concept coming in 2019. 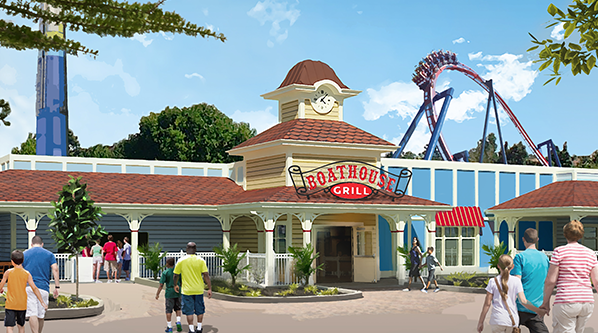 The restaurant will feature a bevy of new and improved food options that are sure to make the dining experience just as memorable as the rides. 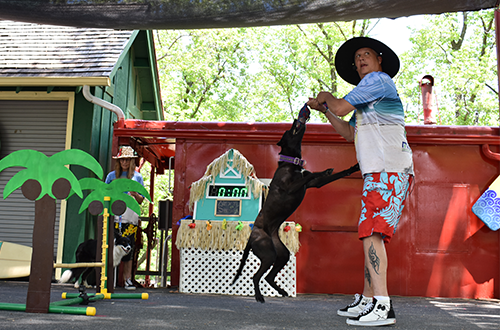 Muttalica's Bow Wow Luau is in its 11th season at Worlds of Fun. From Frisbee-catching dogs to high-jumping pups, you are sure to be left in awe. The best part is that every dog in the show comes from shelters, rescues or just found on the side of the road. 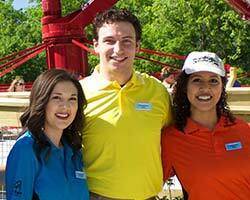 Worlds of Fun and the Autism Society have teamed up to present Autism Awareness Week, July 16-22. 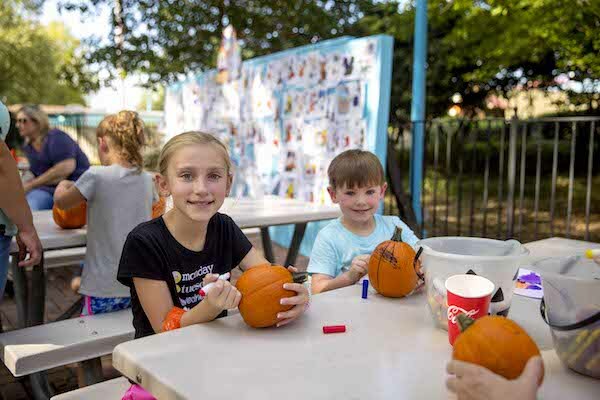 The park will have a few special features in place to create a welcoming atmosphere for guests with autism and their families, including sensory-friendly shows, quiet rooms, gluten-free food options and more. 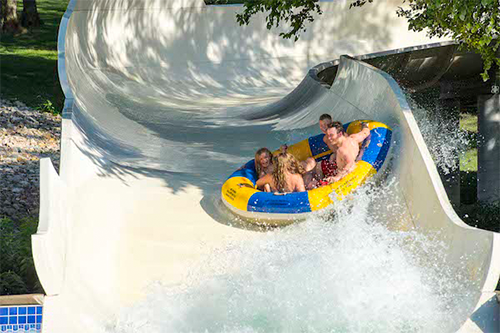 Worlds of Fun has plenty of fun things to offer from dawn until dusk. While there are countless things to enjoy throughout the day, there are plenty of things to experience once the sun sets. 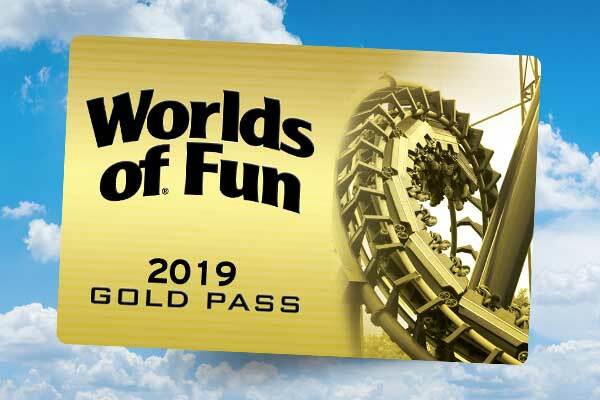 I put together some of my favorite things to enjoy when spending the night out on the town at Worlds of Fun. 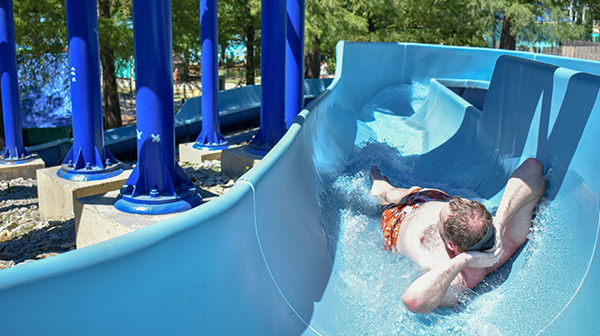 It's waterpark season. Here's what we do to get our attractions guest-ready and safe. All You Need to Know for BBQ & Boom! 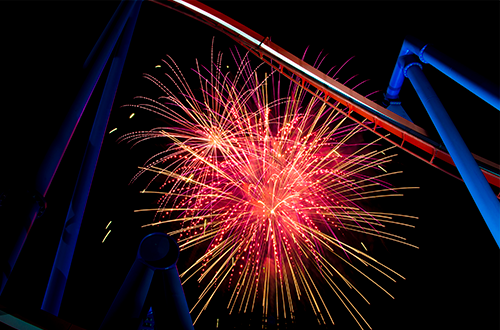 Worlds of Fun celebrates America bigger than ever before with an all-new event on July 3rd and 4th - BBQ and Boom! 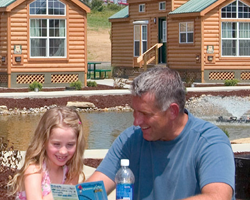 As you can guess from the title, this includes delicious Worlds of Fun barbecue, jaw-dropping fireworks and other fun activities for the whole family to enjoy. Here is all you need to know about the new BBQ and Boom event. This season, our new executive chef Wesley Boston is raising the bar on food options. 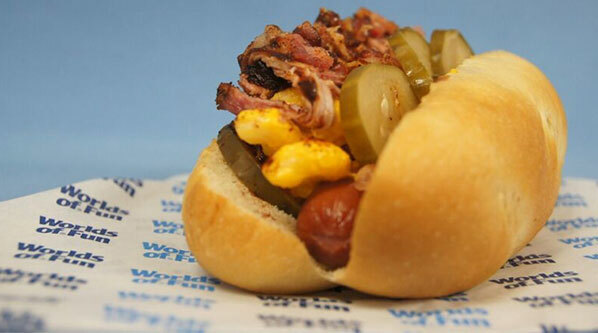 From a delicious Brisket & Waffle sandwich to a juicy hot dog topped with Kansas City BBQ, homemade mac & cheese and homemade pickles, Chef Wesley has been crafting new menu items that will make your trips to the park even more memorable. 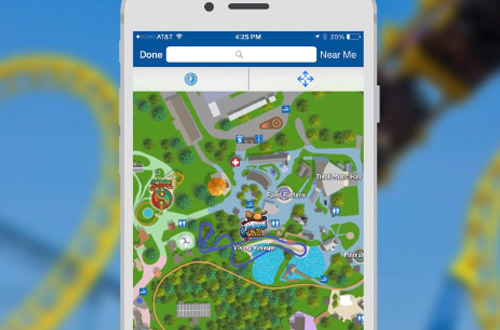 Worlds of Fun has added some great guest enhancements to the park in 2018, including the new Worlds of Fun mobile app - loaded with fancy new features to help you make the most of your visit at the park! 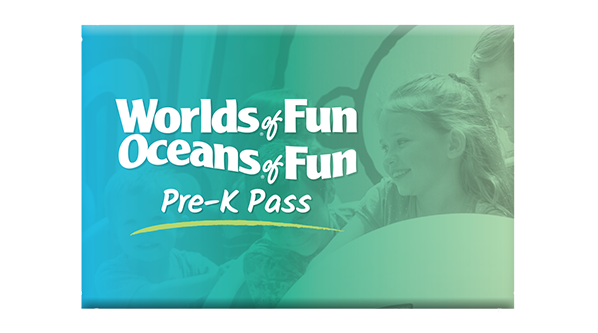 With free unlimited visits all year, your child is sure to make some special memories. To help you make the most out of the season, here are five experiences you won’t want to miss!